We help reasonable people who want reasonable divorces. What Is Cooperative Divorce Law? It is not an all-encompassing term for the settlement approach to divorce. Cooperative divorce law is the name of our newest alternative to fighting it out in court. It is not mediation and it is not collaborative law. It is our third minimally invasive way to divorce, and it comes complete with its own settlement process. Cooperative is similar to collaborative law in that it centers on a respectful negotiation process that takes place at 4-way meetings with the divorcing parties and their lawyers. The process assists in creating and maintaining a non-confrontational negotiation climate where compromise and settlement can take place. 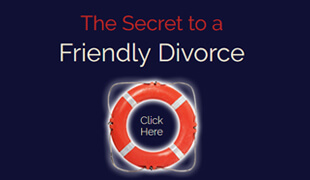 Its purpose is to help the parties minimize the time, pain, cost, and destruction of divorce. Its structure gives them a sensible and effective way of presenting their positions to one another. If they are unable to reach a settlement, the cooperative model does not prohibit the lawyers from going to court and litigating on their client’s behalf. Voluntarily provide all relevant financial information promptly and without objection. There is no downside to cooperative divorce law. In the worst-case scenario, it gives the parties a brief opportunity to think more clearly. It also helps them put their best foot forward at a time when this is critical. They will also be able to take comfort in the fact that they tried to mitigate their situation. They will know they did not squander their chances of obtaining a settlement, if perhaps any such chances did exist. What Are The Benefits Of Cooperative Divorce Law? 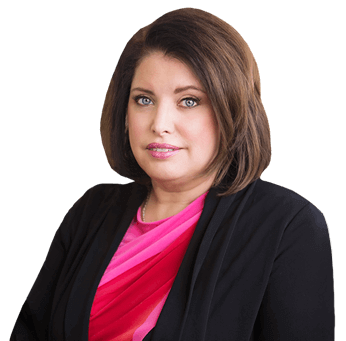 What Do The Lawyers Do Differently In Cooperative Divorce? Agreeing to treat their client’s spouse with respect and in a non-threatening, non-confrontational, non-accusatory, and non-argumentative fashion at all times, including, but not limited to, all instances of interfacing at four-way settlement meetings, depositions, court hearings, and meetings of any kind. What Happens When A Cooperative Divorce Goes To Court? The parties, having had a lengthier opportunity to deal with their feelings and to digest what they are now up against, are less prone to be difficult. We, ___________________________ and ___________________________, in an effort to minimize the negative effects and cost of our forthcoming dissolution of marriage, do hereby agree to cooperate with each other and to do our very best to resolve our differences by way of a mutually acceptable, out of court divorce settlement agreement. To achieve this end, we agree to meet with one another regularly to have informal discussions regarding our individual settlement positions, concerns, and needs. We agree to listen to each other’s message without passing judgment on its merit. Even if we disagree with our partner’s position, we will validate their right to see things differently from the way we do. If we hire our own lawyers, we agree to direct them to work with us toward reaching a non-contentious resolution. We anticipate doing this in four-way settlement negotiation meetings with both parties and both lawyers in attendance. We agree to cooperate toward making funds available to pay the lawyers. We will direct our lawyers to keep our case as simple as is ethically permissible, and to avoid taking any action that would add any unnecessary tension or expense to our ordeal. If we do go to court, we will conduct ourselves as respectfully and as non-confrontationally, as is reasonably possible, and we will direct our attorneys to do the same. Except as may be otherwise agreed upon by the two of us, and except for any non-privileged statements or information that is independently discoverable outside of our negotiations, anything that we say, and any information that we provide during settlement meetings or associated emails, correspondence, phone conferences, or anything that our lawyers or experts say or prepare, shall be deemed as “settlement negotiations” and shall be afforded the identical protection that the laws of evidence commonly extend to settlement negotiations. As such, all statements, information, and writings shall be excluded from evidence, and shall not be considered in any legal proceeding. Further, we agree to be mutually barred from calling as witnesses in any such proceeding the following individuals: any of the participating lawyers or any other divorce professionals or other experts that worked with us during the pre-court negotiation process, nor shall we attempt to subpoena them, nor seek the production of their files, notes, memos, or other writings pertaining to our divorce. 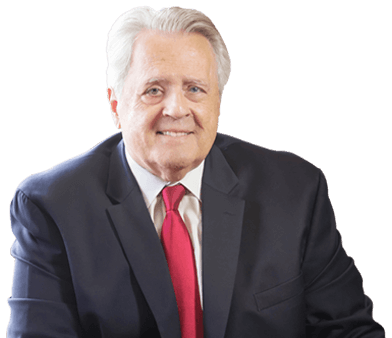 We acknowledge that the attorneys assisting us in the cooperative divorce process do so at the sole service of their individual client, and that their professional duties and responsibilities extend to that client only. We realize that, even though the attorneys may often speak to and encourage us to work toward a compromise that would profit both of us they act independently from one another and represent only the interests of their respective client, and not the interests of both parties. With this in mind, we understand that our individual lawyer is acting in furtherance of our individual interests when and if they give advice that is in opposition to our settlement wishes or as to how our settlement position affects the other party’s concerns and/or their willingness to settle. We specifically promise and agree to refrain from making any derogatory remarks about each other to our partner’s family members, our children, grandchildren, friends and acquaintances (whether mutual or not), and to all colleagues and neighbors. We agree to review the Addendum to this Agreement to Participate and to exercise our best effort to act in full compliance with its suggestions in the hopes that we may achieve the appropriate, cooperative behavior that we pledge to use and display during our cooperative divorce. We acknowledge that this Agreement is not legally binding, and we use it solely to symbolize our good will and mutual commitment to cooperate with one another so that we may resolve our marital differences out of court, while preserving our dignity and privacy. We, _______________________ and ______________________, the parties to the attached Cooperative Divorce Law Agreement to Participate dated _____________ , do hereby agree to do our best to conduct ourselves in full compliance with the behavioral suggestions contained in this Addendum.